What are 1006 Soft Mild Steel? AISI 1006 steels are dead mild steel comparably called drawing quality steel because of extremely low carbon content and other alloying materials. The qualities of AISI 1006 low carbon steel are chiefly low hardness and plasticity. 1006 mild steels have excellent Weldability and formability. 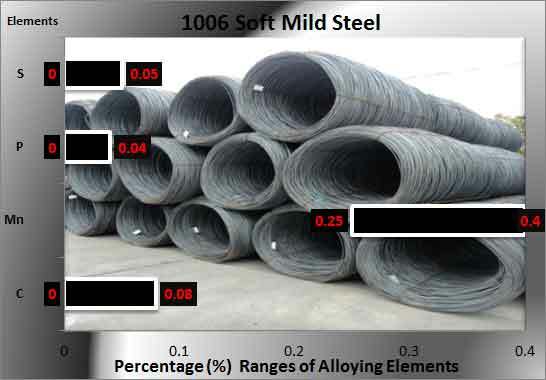 Dimensional Characteristics of 1006 Soft Mild Steel: The applicable thickness in millimeters for cold rolled quality for this 1006 Soft Mild Steel ranges from 0.125 to 2 whereas the width in millimeters is from 600 to 1250, also available in various slit forms of varying width as per customer demands. In the case of rod & bars the diameter in inches is from 0.75 to 1.25. Spotlight: 1006 mild steels can be checked for drawing applications since it has a lower carbon content equivalent to drawing qualities in Japanese Industrial standards as well as the International standards. Moreover the ductile behavior of this material also relies heat treatment processes it has gone through. Hardness in HRB as specified in technical sources is near about 55. 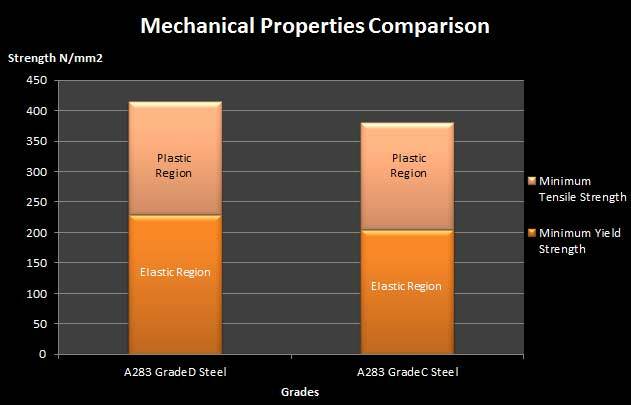 Tensile strength is around 330 Mpa in some technical sources. Yield strength is around 285 Mpa in some technical sources. Elongation is 20% in 50 mm in the standard. In other American Standards standard, the equivalent material is referred as ASTM A510, ASME 5041, ASTM A545, & ASTM A29 type steel. In UNS standard, the equivalent material is referred as G10060 type steel. SPCF Steels : SPCF Steels are very similar to AISI 1006 steels, because these have very close matching carbon content. SPCF steels are more soft and ductile than AISI 1006, if you need a softer material you can switch to SPCF cold rolled steels. ISO 3573 HR4 Steels : ISO 3573 HR4 Steels is closely matching to 1006 steel as far as chemical specifications are concerned. HR4 is hot rolled steel. It is a deep draw quality. Premium supplier name is Shanghai Biaoxing Metal Material Co., Ltd., Contact information is 86-21-51683902 and postal address is 6th Floor, Building 17, No. 1588, Youyi Road, Baoshan District,Shanghai,China.. Secondary supplier name is Tianjin Haixing Imp & Exp Co., Ltd., Contact information is 086-22-86728681 and postal address is 8-402, Zhiyuan Jiayuan, Hebei District, Tianjin, China (Mainland).